A procedure that destroys pain-signaling nerves provides relief for many osteoarthritis sufferers. Osteoarthritis commonly affects the knee joint, which explains the hundreds of thousands of knee replacement surgeries performed every year. But surgery is an option only after non-surgical measures have failed. Even then, it isn’t the answer for everyone. A treatment that targets and destroys nerves in the knee that send pain signals to the brain provides another pain-relieving option. This radiofrequency ablation (RFA) procedure has been used for decades to treat low back pain, but with improved medical technology, it’s increasingly used for knee pain. The position of the nerves and other structures in the knee makes conventional RFA less successful than it is in the spine. Advancements in the technology, along with lower costs have made it more feasible. “Water-cooled radiofrequency ablation and other newer RF techniques cover a larger area, so we are more likely to hit the right nerves,” explains Michael Schaefer, MD, Director of Musculoskeletal Physical Medicine and Rehabilitation. Is RFA right for your knee osteoarthritis? “RFA is appropriate only after traditional therapies have been tried,” says Dr. Schaefer. 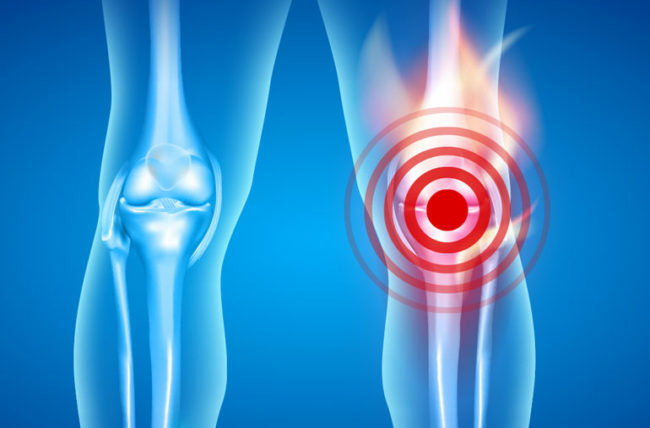 Knee osteoarthritis is primarily treated with weight loss, physical therapy, pain medications such as acetaminophen (Tylenol®) and nonsteroidal anti-inflammatories including ibuprofin (Advil®, Motrin®) and naproxen (Aleve®) and possibly a knee brace. 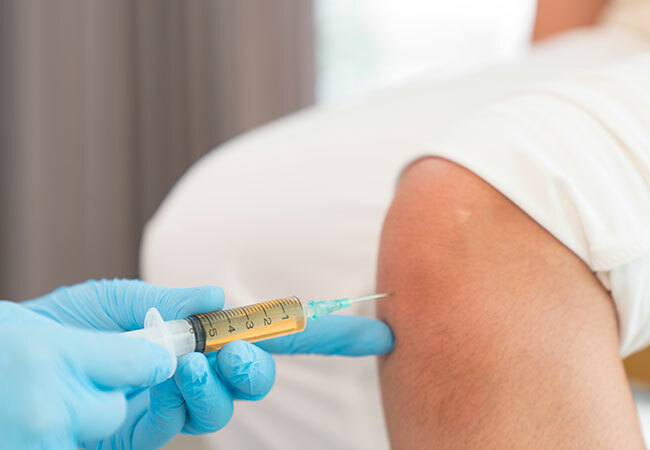 Injections of corticosteroids (a powerful anti-inflammatory drug) or hyaluronic acid (a substance that occurs naturally in the joints) may also be used. If pain and impaired function persist, the next step often is knee replacement. But some people aren’t able to undergo surgery because of medical conditions that put them at high risk for complications from the surgery or anesthesia. Still other people are young enough that putting off surgery is preferable. 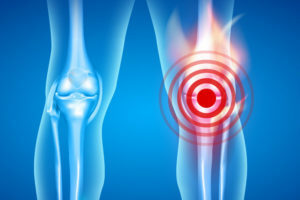 We’re seeing younger and younger people develop knee osteoarthritis. We need an alternative because the knee implants can fail in 10 to 20 years, and then the surgery needs to be redone. Water-cooled RFA is a two-step process, starting with a diagnostic procedure. The physician uses ultrasound or X-rays to help guide a needle to the location of the nerves. A small dose of an anesthetic drug is then injected into the area. “We then have them go for a walk or perform another activity that would normally bother them and see how much pain relief they get,” says Dr. Schaefer. If the anesthetic agent produces pain reduction of about 80 percent or more, the person is a candidate for the ablation. The ablation itself is similar to the diagnostic procedure, except a special probe, similar to a needle, is hooked up to a radiofrequency generator. The nerves are heated to the point where they die. The word “cooled” in the name is a bit misleading. It refers to the water circulating through the device, not the temperature of the probe. “There may be some some soreness in the area for a few weeks, but most people get more relief than discomfort,” says Dr. Schaefer. Bleeding and infection can occur, but they are rare. The pain-relieving effect usually lasts six months to two years. That’s because the nerves eventually grow back. But RFA can be repeated as many times as necessary, and most insurance companies cover the cost of the procedure. Dr. Schaefer recommends those with knee osteoarthritis continue other knee therapies as well. “RFA can be a good way to relieve pain enough to do the exercises that will also help,” he says. But be careful not to overdo it.